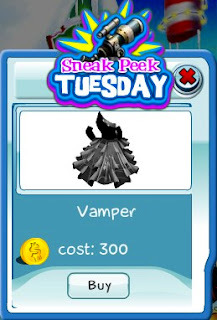 This week's Sneak Peek Tuesday item is the black Vamper dress. It's great for parties to dress up in for the SecretBuilders Fashion Show. Get one today before the sneak peek ends!